On May 12th the KOA Campground offically opened for the season. 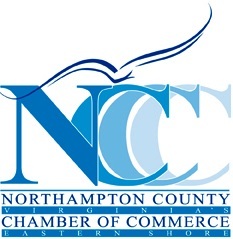 In attendance were employees of the resort, the owners, Northampton County leaders and representatives from the Northampton County Chamber of Commerce. 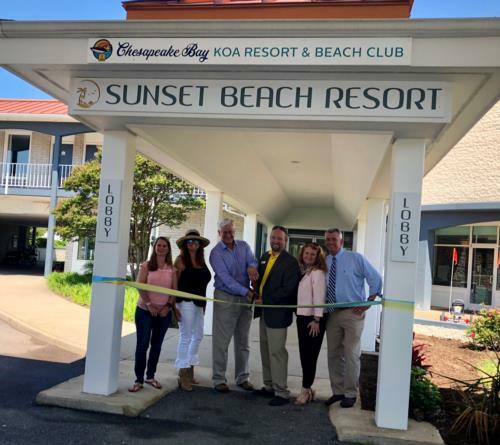 Escape to the Eastern Shore of Virginia and relax on the shores of the Chesapeake Bay at the newly renovated Cape Charles / Chesapeake Bay KOA. Located just outside the heart of Cape Charles, Virginia and one half mile north of the Chesapeake Bay Bridge-Tunnel, Cape Charles / Chesapeake Bay KOA boasts southern hospitality and the best sunsets around. The resort is surrounded by 1,700 acres of ecologically protected lands, which feature endless options for the outdoor enthusiast. 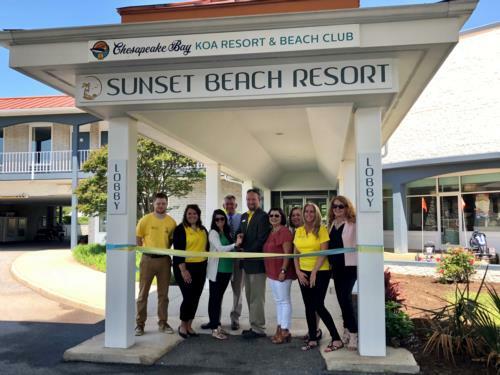 The revamped resort offers amenities such as a coffee and ice cream shop, advanced wi-fi for reliable internet across the entire property, two resort pools, planned family events and much more.